India based company Micromax’s first forays into the tablet market consisted of the low end FunBook that offered a 7 inch sized display. Now the company’s official website indicates that a 10 inch version of the same is under development and will make its debut soon. Named Funbook Pro, the tablet will share quite a few similarities with its smaller sibling. For instance, the tablet will also be based on Android 4.0 and will have a 1.2 GHz Cortex A-8 chip at its heart. There will also be a Mali 400 GPU as well as a 1 GB RAM (same as on the Funbook) to make things lighter for the processor. The tablet will come with 8 GB of internal memory (expandable to 32 GB) and will also include HDMI and USB port. The tablet is Wi-Fi capable, but will also be able to connect to 3 networks via external dongles. 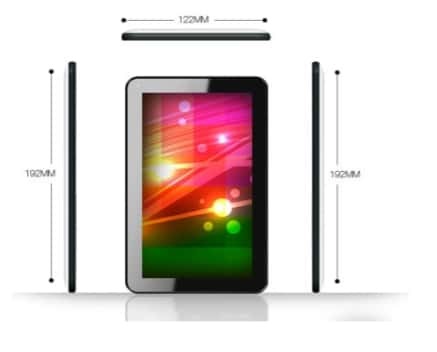 The 10.1 inch capacitive touchscreen display will have a resolution of 1024 x 600 pixels. Micromax is keeping mum on the tablet’s pricing details, though it is likely to be around ₹10,000. The launch of the tablet is expected around mid August.